On my recent trip to Minnesota, we had several opportunities to dine out by ourselves, or with our hosts. As a result, we had several fine breakfasts at local establishments, many of which (Maria’s Cafe, for example, or better yet, the venerable Al’s Breakfast) I’ve already reviewed on this blog. However, this time we dined at several new establishments as well. Two of them I’ll review today, and I can combine the reviews since both places (Longfellow Grill in Minneapolis, and Highland Grill in St Paul) are sister restaurants operated by the same company, and indeed, have approximately 90% overlap in their menus. I’ve long been a fan of Highland Grill. From the first time I went there in 1996 (a friend of mine treated me to a birthday dinner there), it became a regular destination for me (especially around ’98-’00 when one of the people I played ultimate with did a menu design for them and going to Highland Grill became a post-frisbee tradition for a while). Built in a converted ice cream shop on Cleveland Avenue in St Paul’s Highland Park neighborhood, they specialize in what I usually call “Posh Diner” fare. Mostly your typical American foods (omelets, waffles, burgers, fish n’ chips), done up with fresh ingredients and usually with some nice fancy twists. 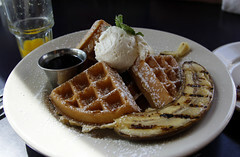 Indeed the best example of this is the “Killer Banana Waffle”, a malted waffle topped with fried bananas, praline sauce, and whipped cream. Artery-clogging good, and very enjoyable as long as you aren’t the kitchen guy having to clean up that particular pan. Similarly, I’ve always enjoyed Highland Grill’s lunches. 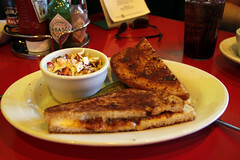 Our lunch this visit was the same for both of us, pierogies as an appetizer (with crisy onion strings), followed by one of the best grilled cheese sandwiches I’ve had, with two thick slices of sourdough, griddled immaculately with melted Tillamook cheddar a very flavorful sundried tomato chutney. This is what grilled cheese is supposed to taste like. The best part, however, is that Highland Grill long ago stopped being a one-off restaurant. When I discovered Highland Grill, they had already opened Groveland Tap (another St Paul eatery with similar decor and a nearly-identical-but-more-burger-centric menu), and in the intervening years have opened the Edina Grill (in Edina, duh!) 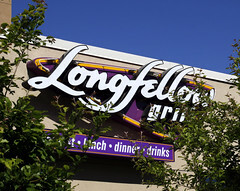 and Longfellow Grill (in Minneapolis’ Longfellow Neighborhood, right by the parkway and the Lake Street bridge). There’s just enough difference between them to keep things interesting (my Killer Banana Waffle at Longfellow had a distinctly more elaborate presentation than the Highland equivalent, for example), but the result is that there are several good eateries for “Posh Diner” fare. One of my favorite breakfast item is corned beef hash. And, as I mentioned recently in my review of Bode’s, it’s one of those dishes that’s easy to do poorly, but hard to do really well. 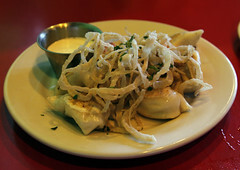 It’s also one of the food items that I get a lot of recommendations for. I’ve often had people recommend places to me for good CBH, and a majority of the time, I’m disappointed, since I usually end up with something that’s either canned CBH, or a faithfully executed homemade replica of canned CBH. So when one of my homebrewing friends gave a strong recommendation for the Gold Star Restaurant in Worcester having the “best hash ever,” I responded with some skepticism, but put it on my hit list.